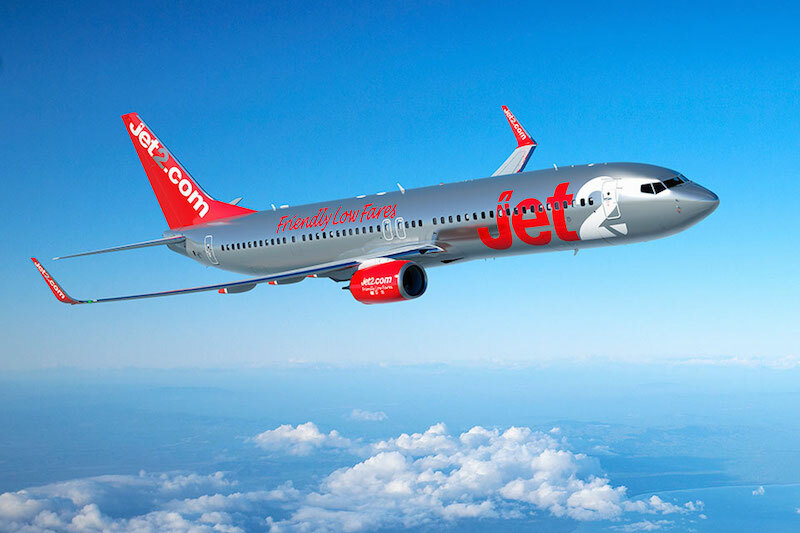 In a major milestone on its growth and development strategy, Jet2.com and Jet2holidays has formally taken delivery of the first of 30 brand new Next Generation 737-800 aircraft from Boeing. The new aircraft, which seats 189 passengers, was handed over to Jet2.com and Jet2holidays at a special ceremony at Boeing’s Seattle Delivery Centre in the United States. The aircraft will come into operation in the next few weeks, and is the first of 30 new 737-800 aircraft to be delivered over the next two years. The aircraft have an approximate list price of $2.9 billion, however the company is believed to have negotiated significant discounts from this price. The 30 new aircraft will support the ongoing growth at Jet2.com and Jet2holidays, which has seen the company launch its biggest ever flights and holidays programme for 2017, and recently announce almost 1,000 roles in pilot, cabin crew and engineering positions in support of this growth. The aircraft will be operated across the company’s nine UK bases and will take package holiday and flight only customers to sunshine, ski and city destinations. Steve Heapy, chief executive at Jet2.com, said, “The arrival of these new aircraft to our successful fleet is a huge milestone in the history of Jet2.com and Jet2holidays and demonstrates how committed we are to investing in growing our business and providing more choice, comfort and quality than ever before to our passengers. The delivery is the latest stage in the growth story of Jet2.com and Jet2holidays since flights began from Leeds Bradford Airport in 2003. Since then, the company has expanded to become the fourth largest registered airline in the UK, flying over six million passengers last financial year and providing friendly low fares to 65 exciting sun, city and ski destinations across Europe from nine UK bases. This includes its latest bases in Birmingham and London Stansted, which both come into operation in 2017. “We are honoured to deliver the first of 30 Next-Generation 737-800s to support the continued growth of Jet2.com and Jet2holidays,” said Monty Oliver, senior vice president of European sales, Boeing Commercial Airplanes.